Today Lucasfilm has confirmed that Episode VII and the future storylines, will not contain any of the EU. While the EU has become part of what fans have come to know and love, our hopes of seeing the characters from the stories are crushed but Lucasfilm has a promising future to Star Wars. Elements from the EU can be used in the canon going forward, but anything that happened in the books after Return of the Jedi will not be adapted in the movies.The new set of canon will begin with Star Wars: Rebels and then a series of books are being worked on. They’re doing this in order to keep a consistent story. “We have an unprecedented slate of new Star Wars entertainment on the horizon,” said Kennedy. 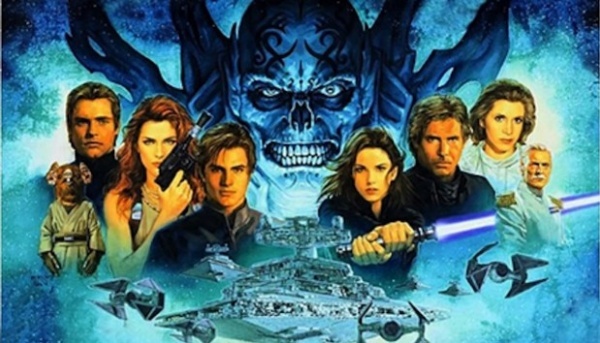 “We’re set to bring Star Wars back to the big screen, and continue the adventure through games, books, comics, and new formats that are just emerging. This future of interconnected storytelling will allow fans to explore this galaxy in deeper ways than ever before.” says Kathleen Kennedy. It is sad that we won’t see some of the fan favorites portrayed on the big screen, but it will be great to see something new. What is your favorite EU story? Tell us below!